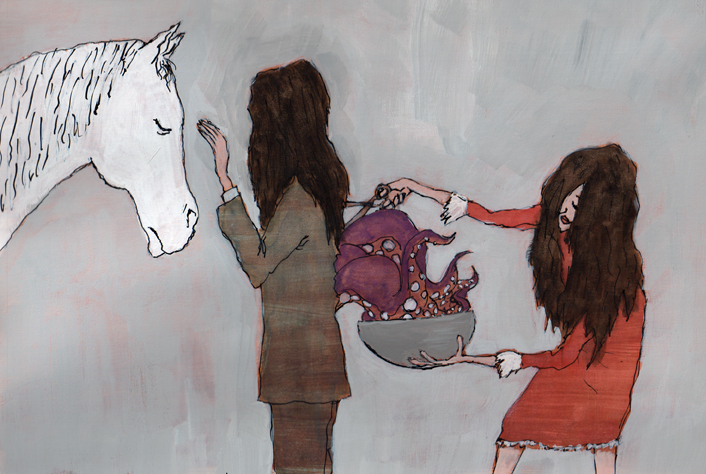 Here’s a painting I did for a music video treatment for the band, Cults, for their track “You Know What I Mean”. I didn’t win, but I thought I’d share this painting that I enjoyed making using gouache and watercolor on paper. ~ by monkmus on November 14, 2011.